With several available options to finance your business, figuring out which is best for you can be both daunting and confusing. Entrepreneurs typically hate asking for finance, which often means that they’ll pick the “path of least resistance” rather than the correct option for their business. 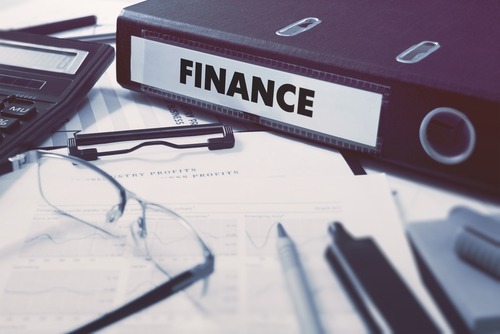 Frank Knight, CEO of Debtsource, unpacks different financing options and identifies what makes most sense for your business. The two most important elements at play in business finance are rate and securities. Finding the correct balance for the business is finding the right mix between what interest rate you’re prepared to pay, versus the level of securities you’re prepared to sacrifice. The most cost-effective finance method in most scenarios for a small and medium sized business is an overdraft facility. The reasoning here is that the interest rates on these facilities are typically quite low, and interest is calculated on the daily utilised balance, which brings down the overall monthly rand interest cost. However, the problem with overdraft facilities is that banks will require smaller and especially new businesses to provide full securities for such a facility. Typically they will ask for a cession of debtors and personal sureties from the directors, even when only assigning an overdraft limit of as little as 20% of the value of the debtors. And this is significant: in a world where the biggest asset on the balance sheet is usually the debtors (accounts receivable), a loan facility of only 20% against this asset leaves a business with very little other room to obtain additional cash flow funding. At the other end of the scale is a factoring facility, in which a business will “sell” its entire debtors book to a bank or factoring company, for which it will receive 75% to 80% against the value of the debtors. The debtors (together with other securities) serve as the security for this transaction as well, but financiers will usually exclude any debtors which have overdue balances in 120 days plus. The bank may also insist that the debtors be covered by a trade credit insurance policy and will charge monthly audit admin fees which add additional costs to the overall finance option. The problem with factoring arrangements is not necessarily the interest rate applied to the facility, but rather the overall rand cost of this form of business finance. Even though the interest rate applied to a factoring facility might be quite reasonable, the size of the facility plus additional audit and compliance costs drives up the total overall cost. The other option which is becoming quite prevalent is invoice discounting. The term literally means to discount (or sell) individual invoices to a finance house. This is an expensive form of finance (between three and five percent of the value of the invoice) but it means that the business can receive its cash as soon as it has delivered goods to its client, without the need to wait for the client to pay the debt in 30 to 60 days from the date of the invoice. However the annual interest rate is high – even three percent per month translates to 36% per annum. The advantage however is that typically no other security is required to finance these transactions, as the confirmed delivery serves as the security for the invoice discounter. This means that the business retains its other security intact, which can now be utilised in the event of a cashflow crunch. Another less-considered finance option is to negotiate extended payment terms to key suppliers. Large suppliers who are under pressure for profitability but are cash flush, may well accept an extra percentage for paying them on extended terms. To illustrate this, it is far better to pay an extra two and a half percent to a supplier for an additional 30-day payment term, than to enter into an invoice discounting arrangement which may have exactly the same or better cash flow effect on the business. According to many surveys, the number one inhibitor to small business growth is access to finance. Businesses therefore need to better leverage their securities and assets to maximize their financing opportunity for growth and survival. Giving away too much security for too small a funding line is not desirable, and similarly paying too much for the funding facility will also negatively impact the business. In the end business owners need to strike the best balance between the largest possible funding facility, for the least amount of security, and the lowest possible rand cost.